A time of crisis, is a time for change. However, to achieve the strategic change that is needed to overcome the crisis, companies need not only vision and determination, but also strong execution capabilities. Blue Ocean Strategy, with its actionable frameworks and tools for both strategy formulation and execution, provides companies with a roadmap for strategic transformation. Blue Ocean Strategy is fast emerging as a leading Business Strategy of tomorrow’s organisations and tomorrow’s leaders. It provides clear answers to creating profitable growth at low risk to those companies and organisations which need to be turned around and to those seeking to create new businesses and new market spaces. How to make competition irrelevant? How to unlock profitable growth through new market spaces? How to unlock new demand and stop competing on price? How to break the commoditisation spiral and create value through the supply chain? How to act systematically on insights and ideas? Blue Ocean Strategy applies to industries from consumer product goods to industrials, pharmaceutical, financial services, entertainment, IT and even defence. There was a time when industries such as automobiles, music recording, franchised childcare or products like mobile phone, internet or iPod didn’t exist. Blue Ocean Strategies will make the next wave of products and industries household names of the future. InnoFuture’s vision is to encourage innovative thinking to find breakthrough opportunities at ‘intersections’ of industries, professions, disciplines and cultures. Blue Ocean Strategy (BOS) reinforces this vision. The essence of BOS: seeing what everybody has seen but thinking what nobody has thought. 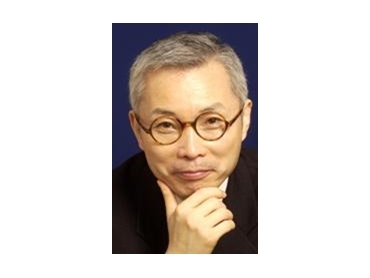 Professor Chan Kim will share his radical methodology at InnoFuture 2009 Blue Ocean Strategy symposium in Melbourne and Sydney.